National Whistleblower Appreciation Day is an annual U.S. observance held on July 30. It was established by the U.S. Senate in 2018. The term “whistleblowers” refers to people who expose any kind of information or activity that is deemed not correct, unethical, or illegal within a private or public organization. Most whistleblowers report misconduct within their company through special reporting mechanisms that ensure their anonymity. However, some whistleblowers choose to bring allegations to light by informing the media, law enforcement, or government. 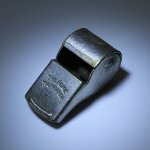 The ethical implications of whistleblowing have been the subject of ongoing debate for a long time, mostly because of the actions of Julian Assange, Edward Snowden, Chelsea Manning and other high-profile whistleblowers. To be a whistleblower takes bravery, especially in the countries that provide limited legal protection to whistleblowers or don’t provide protection at all. National Whistleblower Appreciation Day was initiated by Chuck Grassley, the senior U.S. Senator from Iowa. The author of the Whistleblower Protection Act of 1989, he has campaigned to increase protection for whistleblowers and supported a number of them. In 2007, the National Whistleblower Center even bestowed a lifetime achievement award upon Grassley. Grassley’s initiative was unanimously supported by the Senate in 2018. Aside from National Whistleblower Appreciation Day in the United States, there’s also World Whistleblowers Day celebrated on June 23.